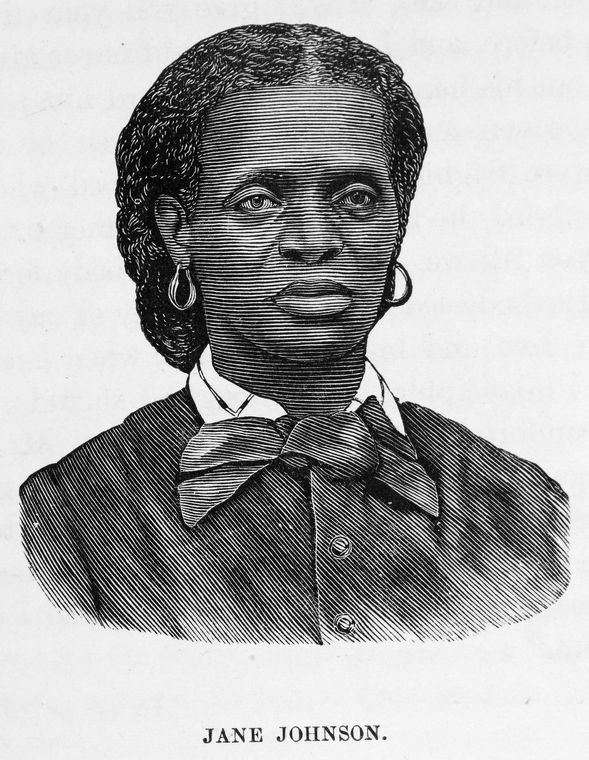 Engraving of Jane Johnson, published in William Still's The Underground Railroad, Philadelphia: Porter and Coates, 1872. Flip to "Rescue of Jane Johnson and Her Children," published in William Still's The Underground Railroad, Philadelphia: Porter and Coates, 1872. Safeguarded by Philadelphia abolitionists after her escape from John Wheeler in 1855, Jane Johnson later settled in Boston, Massachusetts. There she married twice, and sheltered other fugitives slaves before the Civil War. Her son Isaiah served in the American Civil War with the 55th Massachusetts Regiment, U.S. Colored Troops.